This is very very cool. 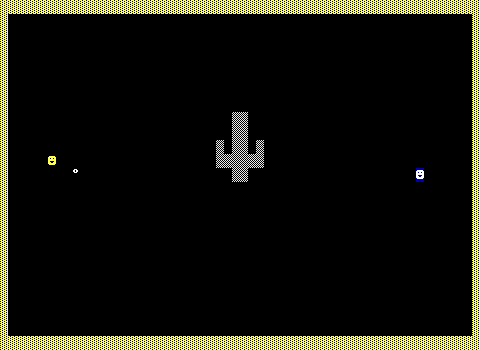 I love the cactus disappearing, such a clever joke. Is that in the original game? This also makes me think how silly it would be in a shoot out if both people run out of bullets, or if they only had a few but they were very inaccurate. I like that they would just call it a day. Maybe they would beat the snot out of each other. I also appreciate you making these games playable in browser! lol no more bullets how bout a beer? Yes. There is cacti in Gun Fight and that clone Outlaw. This board is like a plate of Dragon & Phoenix with broccoli (RGB) in the middle! Zeta was just released so I made a little something for it. Thanks for the comment.